A man who bought a gun allegedly tied to a homicide was in court earlier this week facing a federal gun charge. Jorge Carlos Lopez-Marquez, 37, will remain in custody following a detention hearing Monday before U.S. Magistrate Peter E. Ormsby, who kept the suspect detained without bond, court records show. Lopez-Marquez, who does not have legal status to be in the country, was arrested on Feb. 27 in connection with a criminal complaint that alleges he purchased a revolver from Eulalio Monjaras-De Los Santos. 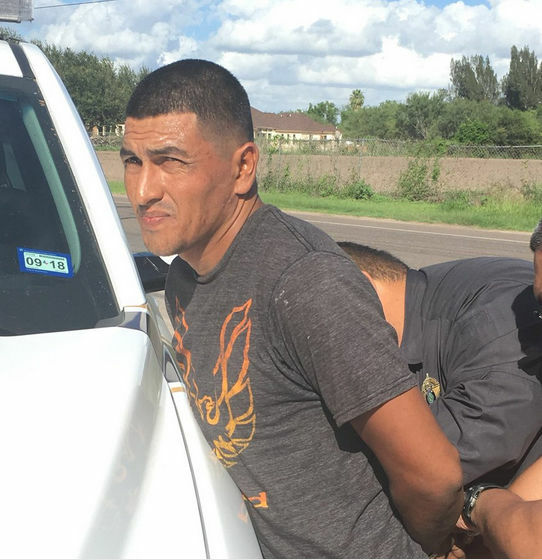 Authorities arrested Monjaras last October after two months on the run for his alleged role in the shooting death of Cesar Eduardo Jaramillo Esquivel, according to the complaint filed in late February. Authorities said they believe the motive for the shooting was an argument between the two former business partners over money Monjaras owed Jaramillo. According to witness statements and video surveillance gathered by authorities, the 19-year-old Mission man visited Monjaras’ place of business, where he was “taken against his will, and later killed.” His body was found at a rural Mission residence. It is a violation of federal law for someone who is illegally in the country to be in the possession of any firearm. Monjaras, 38, who is in the country illegally and currently faces a capital murder charge in connection with Jaramillo’s death, was arrested on the federal charge Feb. 26, court records show. Monjaras was before Ormsby on March 1 and was also detained without bond, the record states. Monjaras is expected back in the 430th state District Court Thursday in connection with the capital murder charge, court records show. Shortly after Monjaras was arrested, Lopez-Marquez told local sheriff’s deputies that he bought a Taurus, .38 caliber revolver for $30 from a man later identified as Monjaras, the complaint states. A day later, Lopez-Marquez was able to retrieve the revolver from the person he had sold it to and handed it over to the sheriff’s deputies. Lopez-Marquez and Monjaras, if convicted of the federal gun charge, could face up to 10 years and a fine of $250,000 each.